The press release is over 100 years old and for the most part, its evolution was mostly stagnant for the majority of its lifespan. However, the press release has evolved more in the last decade than it has over the century thanks to the proliferation of the Internet and most notably, the Social Web. The tired and oft disregarded press release is finally tasting reinvention as it transforms to chase the new channels of influence as well as adapt to the rapidly shifting behavior of content discovery, consumption and sharing. We are witnessing the modernization of an aging communications tool and the distribution networks that connect them to the outside world of influencers and consumers. While the Web is serving as the catalyst for this regeneration, we can also look at innovating the template for traditional press releases as well, starting with the very documents and HTML pages on existing corporate newsrooms that serve as their primary source of PR and corporate presentation. It’s about time we breathe new life into the press release template. Over the past few years I have been a vocal supporter and committed practitioner of Social Media Releases (SMR) because they offered the ability to share stories in a more palatable and meaningful format, supported by the media content that helped reporters and bloggers retell the story using the media building blocks that contextually framed it. Social Media Releases also served as a hub for connecting disparate media elements across multiple social networks serving as a frame of reference for distributed videos on YouTube, pictures on Flickr, supporting documentation on DocStoc, market reports and information bookmarked on Delicious, etc. SMRs represent a new and promising opportunity to renew the dialog around improving the foundation for the communication of news, information, and events that left most immune to its overdue potential. Sometimes in order to embrace innovation we need to blend it with existing methodologies and processes (what we know and how we do it) to eventually propel change, technology and comprehension across the bell curve of adoption. As you know, I’m a strong proponent for change, where change is merited. It must serve a purpose and not associate with hype or shiny objects. In an online world, where both media and communications are altering how content is produced and distributed, the information we share and how we share it must match the correlating workflow and production processes. At a minimum, they must align with the reader’s persuasion, provide the tools and services they need to retell your story their way (links, video, images, bookmarks, etc. ), and also provide a mechanism for inviting feedback, and also encourage sharing through a myriad of services that sends information across the social graphs. Web 1.0 spurred the modernization of the press release, the first in a series of innovations that continue today and represented the most significant changes to the standard format since the introduction of audio and video news releases (VNRs) serving the broadcast industries. In 1997, BusinessWire debuted the Smart News Release, which offered businesses ability to integrate links to supporting audio, video, and digital images. BusinessWire also hosted the release online to complement its wire counterpart. According to the company Dell and AMD were among the first adopters of this new release format. In 2001, PRNewswire released its MultiVu multimedia release (MMR) service, which also offered a branded, stylish online dashboard for businesses to tell their story through text and corresponding media. The first multimedia release published using MultiVu introduced the movie Pearl Harbor and featured stills, clips, and other media files to create a more immersive experience. Soon thereafter, all existing and also new breeds of wire services, including PRWeb, BusinessWire, MarketWire, among others, debuted online multimedia friendly press release hosting solutions that adapted to the Web’s migration from 1.0 to 2.0. In 2006, Todd Defren introduced us to the concept of a Social Media Release, which connected online media to social networks. To this day, Todd and I continue to collaborate on the advancement of the Social Media Release in conjunction with many visionaries across the communications and Web marketing communities. Shortly thereafter, Shannon Whitley developed PRX, the first automated system for building and distributing Social Media Releases. Last year, PitchEngine launched a dedicated service to empower PR to create, host, and publish branded Social Media Releases and Social Media Newsrooms without the help of developers or Web marketers. I since joined the company as an advisor and stakeholder. Recently, MindTouch debuted a powerful wiki-based mashup platform and application for automatically creating affordable, custom, and hosted Social Media Releases and Newsrooms for SMBs and enterprise organizations. This was the first service that provided IT and Web marketing with the tools necessary to socialize static releases and newsrooms without changing the hierarchal process of Web site and content management systems. One of the easiest solutions to deploy and manage online press releases are also the least discussed and most underestimated. Blogs represent some of the most effective platforms for communicating solutions and offering answers to the community of customers and prospects seeking insight. It’s the most profound forum for actively demonstrating expertise and sharing vision and direction consistently over time. Blogs are also an ideal home for sharing news in a format that tells a story in a more human voice. It shouldn’t read as a typical release however. It should capture the essence of what’s new, unique, and worthy of attention and present it in a format that mirrors the story you would ultimately hope to read elsewhere – complete with all of the shareable media content that also speaks to people, their way. As I said earlier, in order to successfully embrace a new way of communicating news, existing processes and approval cycles must influence the desired evolution – step by step. Tools, networks and services are facilitating and simplifying the system for creating and distributing new media releases. But most of the time, they start in Microsoft Word or another standard word processor before they’re transmitted to wire and hosting services or published to the existing corporate news page. Everything starts with the existing template that we use from previous releases, which usually forces us to fill in the blanks in a way that prevents and discourages artistry, ingenuity, value, and believability to flourish. Press releases, in this case, are merely “cookie cutter” productions that usually read as such. We attack the creation of press releases the wrong way. What if we empathized with the customers we wished to inspire and adapted the story to their channels influence based on the preferences and focus of the authoritative voices that reach them? It might change the way we approach a blank slate. And, what if you had to write the headline in 140 characters to convey the value of your news to someone on Twitter? Better yet…what if you distilled the essence into 120 characters encouraging retweets of your story. It very might modify what and how the rest of the story unfolds. In order for new media releases to work, they have to receive support representative of an entirely new methodology for communicating stories. It’s not anything new. Corporate executives, spokespersons and marketing and sales professionals have long faced the challenge of refining the value proposition into a compelling elevator or better yet, an escalator pitch. The idea of the escalator pitch is game changing and powered by the brevity that takes place on Twitter, Facebook, FriendFeed and other micro blogs every minute of every day. It inspires us to embrace brevity and relevance outside of these communities, in the real world, to help people “get” what we do and why they should care. News flash: New media releases aren’t a new tool to package the same old marketing “speak” that form and enforce the stereotype of existing press releases. They are indeed an opportunity to improve how we, as individuals representing a company that helps real world customers, share our story with them in a way that means something. The process of humanizing a press release also begets another game changer into the process of writing—answering the above question of to whom we’re hoping to reach. Markets are distributed and supported by mainstream and vertical segments. Not one tool, publication, blog, peer-to-peer network, or story reaches and compels them similarly. Having one press release with a general set of value propositions is necessary but also potentially limiting. Whether or not you address this in your pitch letter to varying representatives of these markets is one thing, but also think about the SEO value of distributing releases targeted directly to various customer groups who are actively looking for information on traditional search engines. Don’t forget, an Outsell study surfaced the fact that over 51% of IT professionals report that they get their news from press releases discovered in Yahoo and Google business news searches over their top trade journals. The press release is not simply a function of PR, but an opportunity to tell your story in a way that serves as a catalyst for influence and action, directly and indirectly. The press release thus becomes a social object, capable of sparking conversations, movement, and events. Improving the narrative, formula and format for press releases is obligatory regardless of supporting mechanisms and technologies. The inclusion of social media elements within the release also fortify stronger cornerstones for improving personal connections and engagement to the release, but also enabling the discoverability and sharing of the content. Having the ability to include videos, pictures, audio, all served from different social networks into one centralized story dashboard, forces us to rethink how and what we share within the story. It introduces a storyboard element that begins well before we write the first word of the release. We effectively become storytellers and the process of press release writing now transforms into an experiential and technical production, with ROI measured not only in hits, but also release and content views, trackbacks, tweets, mashups, conversations, comments, extended sharing within individual social networks, and also the call to action we integrate into the release. Yes, we can measure and steer experiences now. Once we move beyond the creative, storyboarding, and production process, we can tackle the creation of the press release. Because everything usually starts with good old-fashioned word processing, I’ve included a new template to visualize these new ideas. Essentially, you can “socialize” a press release simply by integrating all of the content within the release and also by adding “live” links to the content. Ultimately the release may or may not cross a wire or garner Web visibility through services such as PitchEngine or PRWeb. They will, at the very least, attempt to earn an audience with reporters, bloggers, influencers and also prospective customers via the corporate Web site, online newsroom or via email. The originating template now also serves as a source of an organized story as well as resource for storytellers to grab media in their desired formats and also for consumers to save and share information without sending them to multiple locations. Regardless of the new media release format you choose, for example, bullets versus prose, do start the release with keyword density in mind to improve its search engine optimization (SEO), which enhances visibility and ranking in search results. In this case, search engines will prefer that the release starts with a headline and also an introductory summary or paragraph whether or not you also include supporting bullets in the body of the release. Following is an example of a press release document that was socialized to mirror its counterpart that crossed a traditional wire service and also received distribution and online hosting using PitchEngine. I’ve embedded a viewable and downloadable Word and PDF version below via Docstoc. It’s not unlike the Word-based template that many savvy communications professionals were utilizing in Web 1.0. It’s only gained in strength and potency over the years. Let’s dissect this example to more effectively explain inherent advantages, design features, and overall structure of the release. As Stowe Boyd coined it, the TwitPitch or Twitter Pitch, is the ability to communicate the substance of the news release in 120 characters encourages us to think about the story in terms of brevity and relevance and also how what we say might also incite tweets and retweets. I dare you to not change how your release reads after running through this exercise. This is where I usually start the process of writing the entire release and not the reverse. For those who mastered the art of pitching via email, this exercise shares the lessons learned when crafting a subject line for our messages. Word processing has significantly evolved over the decades offer desktop publishing capabilities to help communications professions transform static releases into interactive experiences. They now aesthetically mirror their online Social Media Release brethren. Visually telling a story helps place the news in context, making it approachable and potentially immersive. We amplify value and extendibility of socialized content by linking to the images where they’re hosted as well as connecting to complete photo albums. This offers viewers the ability to reconstruct the story visually and also builds a bridge between the content where it resides as well as establishing an associated storyline with supporting information. Cross-linking is key to building a hub of social spokes to construct a wheel concentric engagement. Providing an encapsulated explanation of the news sets the stage for comprehension and desire to read the remainder of the story. SEO specialists will recommend that writers employ a strategic architecture of keywords (not to be overdone) in order to optimize its performance in search engine results. When writing press releases, many of the classically trained communications professionals will remember the inverted pyramid style of leading with the most important information. Think of it as making a first impression or as writing the elevator or escalator pitch. Attention is scarce and on the verge of becoming an endangered human characteristic. You have to earn the right to capture and hold attention with each and every release you produce. Make it matter. Answer questions. Solve problems. Direct readers to solutions and beneficial information. Remember, brevity and empathy speak volumes. Become the customer you want to reach and speak to them as a peer of influence. Don’t try to sell, hype, or deceive readers. In the era of the social Web, customers and influencers now have the ability to equally share the negative attributes of your release as well as the positive, important, and value-added benefits. Providing helpful, clickable links within the release steer the reader to valuable informational resources and pre-defined experiences only to return to the original release enlightened and knowledgeable. An important note here is to remember that wherever you proactively send your reader, where it can be controlled, should complement your story. Ensure that the destinations are consistent, articulate, easily navigable, and conducive to safeguarding a positive return trip. Also include links to the traditional or other social media releases should they include varying angles or access to additional information. One of the structural assets of a Social Media Release or multimedia release is the seamless capacity to easily grab content (videos, images, audio players, presentations, and many other forms of helpful content) and embed it elsewhere (blog posts, tumblelogs, Web pages, social network profiles, online stories, etc.) without having to recast, record, or shoot new material based on your information. You’re making it easier for influencers to tell a good story to their audiences. Readers simply cut and paste the embed code you provide in the release into their destination post or page to automatically include the playable/viewable media in their domain. Essentially by simply including the code, you’re making your content and story portable. As we’ve discussed earlier, the ability to link your story to additional pictures, video, and content albums, channels or files residing in other social networks ameliorates or improves the experience to convey significance. It also introduces viewers to your individual corporate profiles in each respective network, allowing them to friend or follow your activity based on their consumption and engagement preferences, setting the foundation for community cultivation within individual and connected networks. An important lesson here is that releases are typically viewed as isolated events, when in fact they can string together a theme or corporate libretto that is narrated with every new form of content uploaded and shared within each or all of our strategic social networks. We briefly discussed the art and science of Social Media Optimization above. But, allow me to further clarify this practice. If you recall the Outsell study that revealed how press releases factor into customer searches for relevant information, we know that behavior is already a precedent. So, if I were to tell you that a social network was actually the second most popular search engine behind Google, optimizing social content would make perfect sense. Well indeed, this is the case. YouTube performs more keyword searches than many popular, yet traditional search engines. Unlike keyword density exercises in SEO, SMO involves artful and poignant descriptions that feature keywords and also employs the convention of intentional and crowdsourced tagging. Tags are similar to keywords in that they describe the content directly or indirectly. When individuals search for specific content in social networks, it’s a combination of tags and keywords that unearth relevant and associated content. By providing recommended tags and keywords, we’re also encouraging disseminators of our information to also tag and discuss our story in complementary fashions. Note: You may see “Technorati Tags” in other hosted online Social Media Release services. To put things into perspective, Technorati is the premier blog directory for indexing blogs based on areas of topics and expertise as well enabling information seekers to search keywords that connect results to authoritative blog posts. So, unless the service is hosted on a truly social platform such as a wiki, social network, or blog platform, these Technorati tags that are included in these online press releases today will most likely not appear in Technorati search results. This is one of the many reasons why hosting and managing a corporate blog is important. Just because it’s on the Web, doesn’t make it truly social. Connecting this content to the overarching corporate story is how we merge traditional to Social Media. More importantly, when influencers and customers interact with the content, their mere participation offers a reverberating effect that introduces the material to respective social graphs representing first degree friends and followers as well as potentially spreading the story to second and third degree friends of friends and so on – the proverbial social graph. In other words, when someone bookmarks the news on delicious, “likes” or posts it on Facebook or FriendFeed, shares it on Twitter, that discrete activity is shared within one or multiple networks simultaneously for others to potentially experience. It’s this behavior and peer-to-peer implicit and explicit endorsement that sets the stage for content to potentially become viral. Peer-viewed content is usually trusted and qualified. Subscription feeds help influencers and customers stay up-to-date with your news. Providing RSS feeds for important product or corporate news channels or an all-inclusive OPML file enables people to effortlessly and automatically receive updates within their feed reader of choice. A note about social bookmarks: earlier, we outlined how people can bookmark or share your content in services such as Delicious or Diigo or in news communities such as Digg or Mixx. In PR, you can also create purpose-built pages dedicated to providing an industry overview that supports your company’s position within the marketplace. With SMO, these pages can also surface in social search to reveal your side of the story. Issuing releases on the wire and hosting them on Social Media and Web-based news services such as PitchEngine and PRWeb, is only reaching a small percentage of your potential audiences. When we think similarly to the multitude of potential customers who represent different markets, it becomes clear that in order to reach them, we must connect with them directly where they congregate to discover and share information. In addition to wires and Web services, PR can benefit by creating and linking to corporate profiles on content networks such as Docstoc or Scribd. Uploading related press releases, whitepapers, research papers, customer success stories, etc., combined with strategic SMO, enable people to find your information above others. And like YouTube, copies of this content are also embeddable and downloadable providing the seamless sharing and dissemination of supporting documents such as financial statements or market reports, or perhaps, the press release itself. Imagine hosting a dedicated channel of supportive written documentation. One of the most compelling attributes of new media releases is the ability to direct focus and activity. Now that we’ve embraced the notion that the press release can also serve customers directly, why not borrow a page from the worlds of inbound marketing and advertising by integrating a “call to action” in the body of the release. Southwest Airlines experimented with direct links to discounted airfares within the release, recording $1 million in sales directly attributed to the release appearing in search. Many other companies successfully guide and rally customer activity by integrating links to “Buy It Now,” “Vote,” “Tell Us What You Think,” or “Register Here” pages on the Web. While releases are hosted online as they appear in the template, the wire is a different story. The embedded images and logos for social networks can’t necessarily cross the “wire,” since technically only text can make the journey to news desks. However, integrated links, embed codes, and keywords remain intact. Note: for contact information, you can also include links to your Facebook or LinkedIn profiles, vcards, or any other form of social contact that effectively reaches you. Press releases are both a mechanism for refining and distributing news and now also serve as a conduit for connecting influencers and customers to information as well as the people behind the story through social networks. Upgrading the template for the development of press releases improves the foundation for the story and the transparency, authenticity, and believability required to extend it across social networks, online press outlets, and throughout the blogosphere. Press releases represent a privilege to share our story with others of absolute consequence. They might serve as a required form of communication and disclosure, but releases do not fundamentally guarantee an audience, coverage, nor sharing. It’s our job and our obligation to amplify, extend, and connect our stories to the communities who can benefit from the advancements and innovation that define our business. How does this change your process for writing and distributing your next press release? Update: PRESSfeed offers a free browser toolbar to help optimize traditional press releases for SEO. – Is Social Media Recession Proof? Great post, Brian. “Brevity” and “believability” are the 2 key words for press releases now. Great post, Brian. I’m curious to hear your thoughts around how many news releases you recommend for any one piece of news. I’m sure this varies depending on the story, but do you suggest doing both a traditional release, written with journalists in mind, and a social media release, written more for customers, for each piece of news? This serves as a great learning tool to modernize press releases in certain media. Perhaps this is the beginning of “the new standard.” I follow both you and Todd via RSS feed and learn a great deal from your experience. Thanks for allowing others to benefit from your knowledge and understanding. Brian, thanks for the continued thoughtfulness on the past, present and future of the press release. You make many excellent points, but I have to take issue with your inaccurate claim that PR Newswire was first with multimedia press releases. Business Wire, partnering with Medialink, launched a company in early 2000 called Newstream, which pushed out the first multimedia releases, or Smart News Releases, as we call them. Here’s a link announcing the venture, dated January 18, 2000. Just like today, downstream sites don’t always display the multimedia, but the original release had photos, which don’t show up here. I just learned from our crackerjack researchers that Business Wire actually launched multimedia news releases in November of 1997! I just sent you the RTF file from Nexis that proves this. Hope you can correct the record. Brian – Another absolutely outstanding & "must-read" for everyone in the industry and students alike. Thank you for your careful dedication by providing insightful detail and not a bunch of mindless hyperbole. Hi Brian, thanks for the great post. It’s good to have you and Todd, and a few others, fighting for the SMR cause, but I fear we need more advocates to truly kick-start the SNR. We are trying to do our bit in the UK with the launch of Pressitt http://www.pressitt.com social media news release creation and publishing service. One point I would like to raise is what has happened to the IABC’s lead in Standardizing the Social Media Release, they have not been heard from in relation to the SMR for ages? It seems press releases are surviving whereas the daily press isn’t surviving in the Internet world. Press releases have embraced the Internet, the daily press not. We wonder how effective free press releases are compared to paid press releases? It’s not just press releases that need expansive capabilities (although they certainly do). Here’s an example of the newest PR mode for companies that want to combine press info along with other capabilities and reporting. I created this Sendside Package for the Sierra Club as an example of how two masters can be served by next generation technologies that can literally send anything as an electronic communication. Glad you raised this topic again, Brian. I absolutely agree, it is time for a new format to convey information, but a social media-based release isn’t the tool for all news — yet. (For example, company earnings need special handling.) In addition, according to a recent study, many journalists don’t want video or links in their email (which is the preferred form to receive information), they just want the facts in a less than 50 word pitch (or 160 characters on Twitter). Do note that some of the journalists resistance is dictated by the IT guidelines for email at big publishing houses. 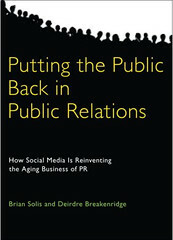 Granted, the world of PR is in flux (which is quite exciting), and what works today will probably be old in two years. Let’s all keep trying until a format emerges that is easy to read, easy to access and is a vehicle to achieve the ultimate goal of the delivering the “news”. An absolutely brilliant post, Brian! Really an inspiration to develop the multimedia releases to a new level, thank you so much for that! Lots of useful information, Brian, thanks once again. TwitPitch sounds interesting (as do other ideas from the post). What a great blog post. I completely agree with you in that we must revive the traditional press release. Why? While the tools may be the same, the way we communicate today is changing. Our goals are expanding – as releases are no longer just for the media/analyst communities but companies are using this communication tool to reach the buyer personas (as David Meerman Scott would say) and drive traffic to your website, blogs, and other relevant channels. Great info on key steps to achieve success and revive an old communication tool. I just blogged about it as well and linked it to your blog at cindykimblog.wordpress.com. Thanks for sharing great info and knowledge. Absolutely love this post. Thank you. Am setting everyone in my agency a task this week of writing a press release using your template. I shall let you know how I get on. I am wondering why you re-tweeted this blogpost just now but then again, it is an interesting one. At the beginning of the month I was speaking at the European Communications Summit and asked who used SMPRs… Out of a room of more than 100 senior European communications professionals I had 2 positive responses. So there is definitely still a way to go. And then today I read about the “Twitter Press Release” service launched by Muck Rack (commented it here http://tinyurl.com/mwlofj)… Where will it stop ?